“Artemisinin effectively stops the malaria parasite killing the human cell, but the parasite has developed a way to deal with that damage. 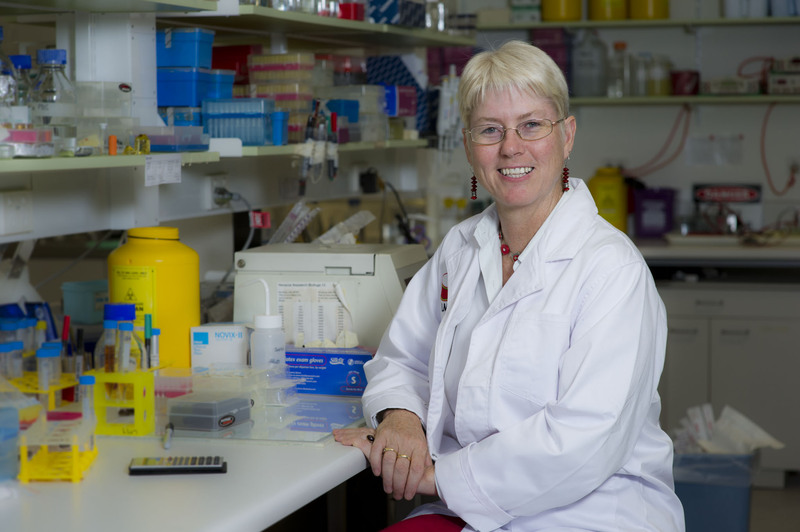 So new drugs that work against resistant parasites are desperately needed,” Prof Tilley said. So the team designed a new drug that targets the parasite’s waste disposal system, known as a proteasome. Researchers at Stanford University purified the proteasome from the malaria parasite and examined its activity against hundreds of different peptide sequences using a novel method developed at the University of California, San Francisco. Using this information, they designed inhibitors that selectively block the activity of the parasite proteasome, while sparing the human host enzyme. This high degree of selectivity allowed the Stanford team to confirm that the drug could be used to clear parasites from infected mice. University of Melbourne Professor,Leann Tilley an Australian Research Council Laureate Fellow at the Bio21 Institute, tested the new drug in red blood cells infected with parasites and found that it was as effective at killing the artemisinin-resistant parasites as it was for the sensitive parasites. “The new proteasome inhibitors actually complement artemisinin drugs,” Prof Tilley said. This article originally appeared in The Melbourne Newsroom. Click here to view the original.